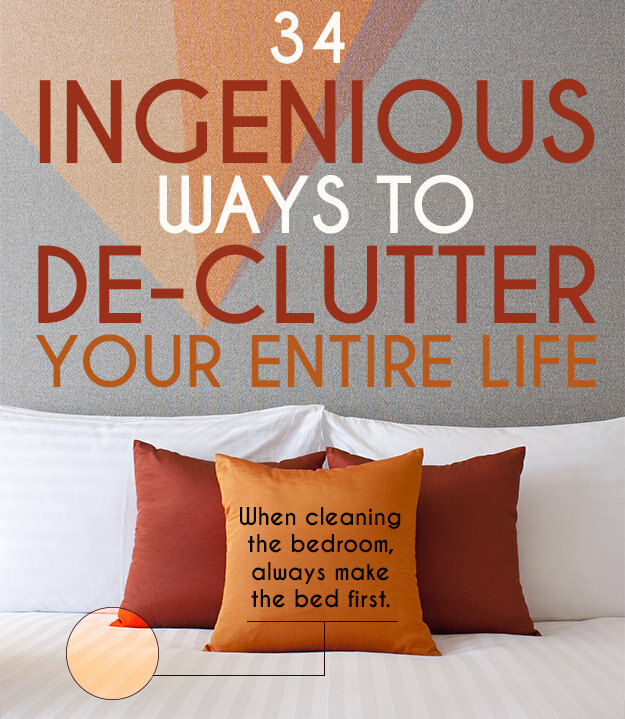 Find out these 34 ingenious ways to de-clutter everything and organize your space neatly. There are plenty of fun and genius ways of getting rid of that clutter and making the most of the space you have. Save yourself time and stress with these quick and easy ideas which will help you de-clutter your space and make it a home once more. It’s easy to get a little organization back into your life with this fantastic post. 1. When buying electronics, download the manual and store it in the cloud. If you’re positive you won’t be returning it, you can safely discard the manual. 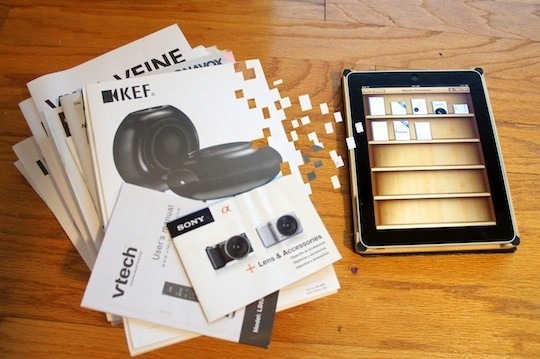 Uploading an electronic copy to the virtual cloud of your choice keeps you covered in case the manufacturer stops producing the item and takes the manual down from its site. Read more here about archiving your manuals into iBooks (if you have an iPad). 2. Enlist the rule of five every time you clean. Whenever you’re cleaning a room, get rid of at least five items, whether it’s a piece of trash, an old magazine, or just something you haven’t used in ages. 3. 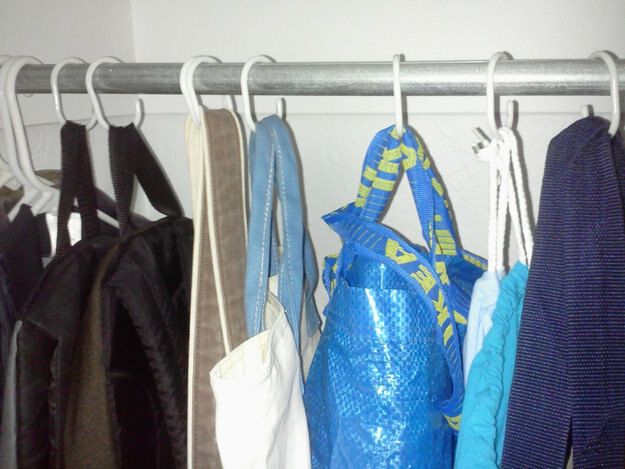 Hang your bags with shower curtain hooks. The hooks take up less space than hangers. And it’s a great way to compartmentalize the things in your closet that don’t have a place — scarves, belts, socks.